Back in the day of the dinosaurs (think way back – like the ’90s) we were told that obesity stemmed simply from caloric imbalance. Eat too much, and you plumped out like a pudgy pumpkin. If you wanted to lose weight, you just exercised and ate less to slim down. Today, all bets are off; scientific research is telling a different story. The current flurry of studies are sometimes contradictory, but here’s a dose of reality based on the most recent data. And none too soon: with one in four children being diagnosed as obese today, knowledge is key. Standard studies share the obvious: kids who consume too many soft drinks and fast foods will gain weight. And activity matters as, increasingly, physical activity tends to share time with more sedentary pursuits. We all understand that the more sedentary the family is, the less healthy it is. But there’s more: some studies show that our weight may be in the genes. This isn’t earthshattering news to families in which every member has a fight with the scales. And how many of us blame our big bones? The truth is that, while bones hold density for those who tend to weigh slightly more, large bones don’t create those rolls over the top of a pair of jeans. To find out more, we have to look for a gene other than the big-bone gene. Genes can directly cause obesity disorders such as Bardet-Biedl syndrome (a disorder of the cilia affecting numerous body systems, including weight) and Prader-Willi syndrome (a rare genetic disorder where missing or unexpressed genes affect roughly one in 12,000 infants). Still, these tend to be rare in kids. Studies of leptin receptor mutations, congenital leptin deficiency and melanocortin 4 receptor mutations are showing that there are some things that Mother Nature threw into the mix which might create some problems with weight. The Melanocortin 4 receptor mutations are the most frequent cause for childhood obesity in terms of genetic predeterminations: 5.8 percent of 750 obese young subjects showed pathenogenic mutations in their MC4R when they were tested. There could be other causes as well. Epigenetics (chemical changes in the way genes are expressed) may also explain weight through DNA sequencing, especially present when overweight mothers give birth to offspring who become even heavier, resulting in an increased rate of obesity across generations. If genes are a factor, so are our habits. Food choices matter, but serving sizes make a difference, too. A study by Rolls, Roe and Meengs tested how participants reacted to servings of macaroni and cheese with four different portion sizes. The bigger the serving, the more the participants ate. Hunger? No. People just tend to eat what’s put in front of them. Participants consumed 30 percent more calories when offered the largest portion (1,000 g) compared to the smallest portion (500 g). And yet they reported similar feelings of hunger and fullness after each meal despite the intake differences. Only 45 percent of those partaking in the study reported that they even noticed there were differences in the size of the portions served. So overeating is less likely based on hunger than habit, with one of those habits being that we clean up our plates. Plop those potatoes on a plate and pack on the pounds! In the end, we’re stuck with the genes we were born with, but food choices and exercise are still part of the equation. A healthy lifestyle should be our goal or this generation of parents will be competing with their kids for hospital care with problems that started with their obesity. We can take charge of our weight, although it’s harder for those with fat genes. The reality is that what lies beneath our kids’ jeans might just be their genes. Some claims might sound too good to be true, or a bit off, even when backed by studies. Green tea makes you slim. Drink three cups per day and burn an extra 80 calories. A green tea extract, rich in catechin polyphenols and caffeine, increases 24-hour energy expenditure and fat oxidation in humans. 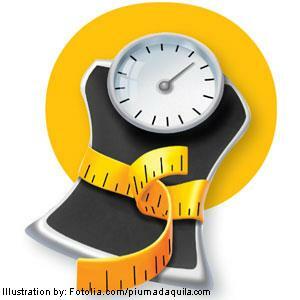 Does your child's weight reflect poorly on your parenting skills?